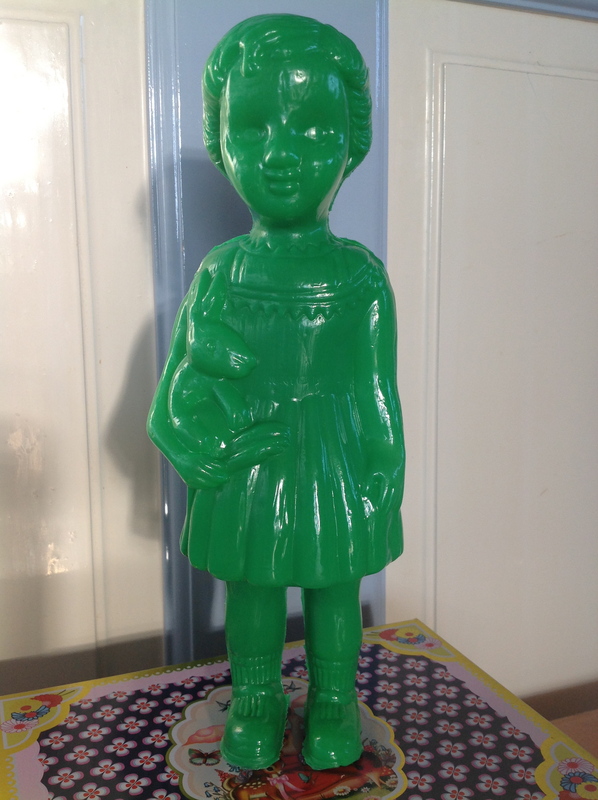 Traditionally, African dolls were carved out of wood or made out of fabric offcuts. 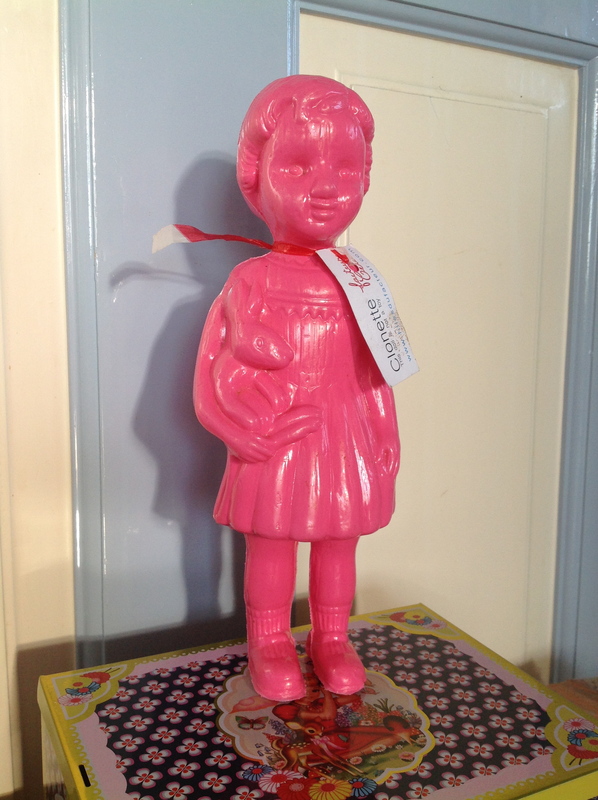 This plastic doll, known as Clonette, was born during the colonial era. 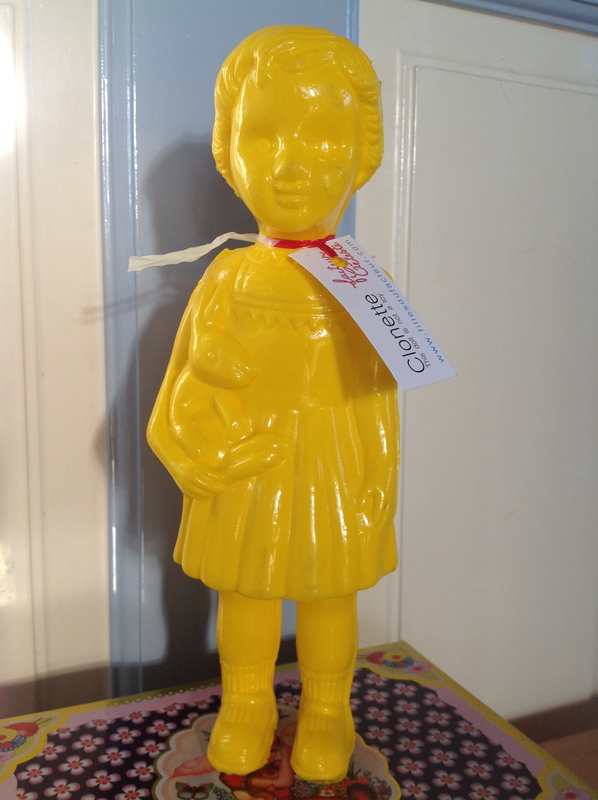 It was the first industrially produced African doll and can still be found for sale at markets in Africa nowadays. 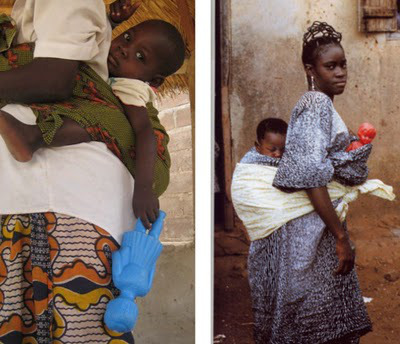 In Ghana the children fill them with water for water play. In recent years the Clonette has become a design icon in France and further afield, and you will regularly see her appearing in design blogs and magazines. 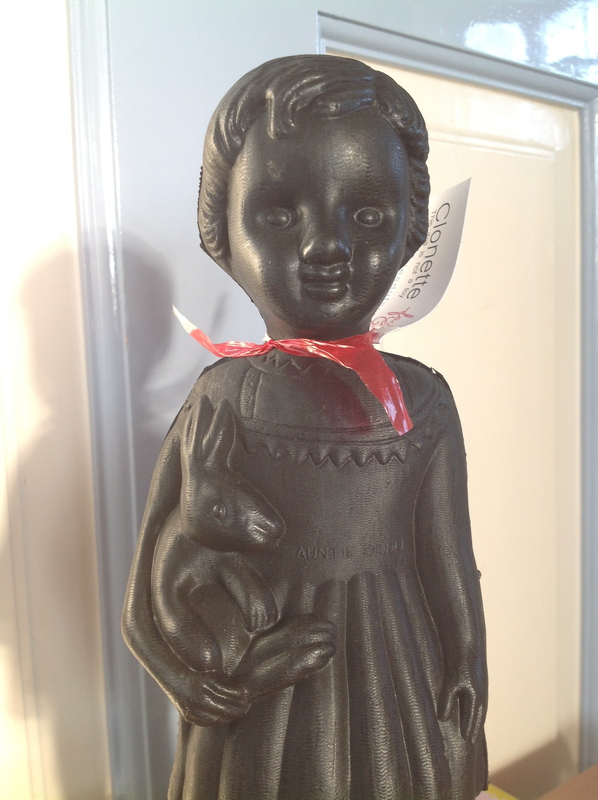 Perfect as a decorative item or as a cute toy the little girl is holding a bunny rabbit. 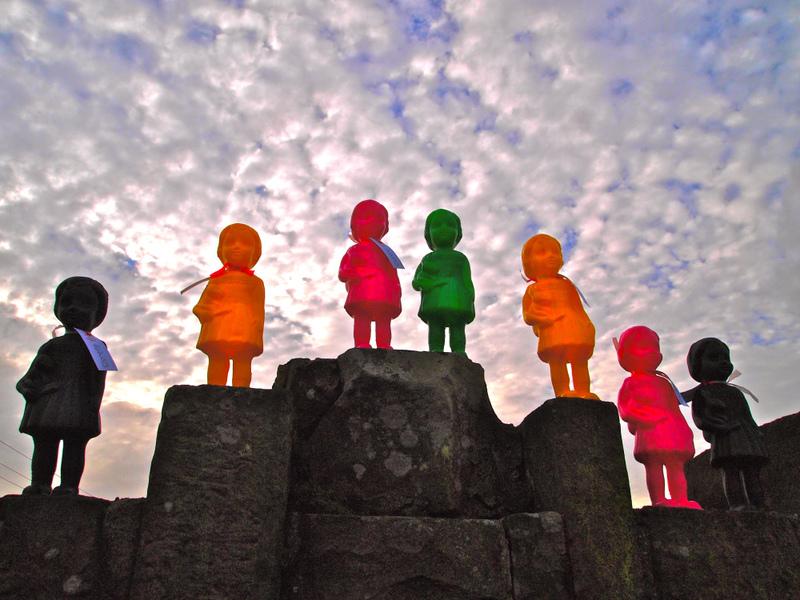 Ours come in black, pink, yellow and green. 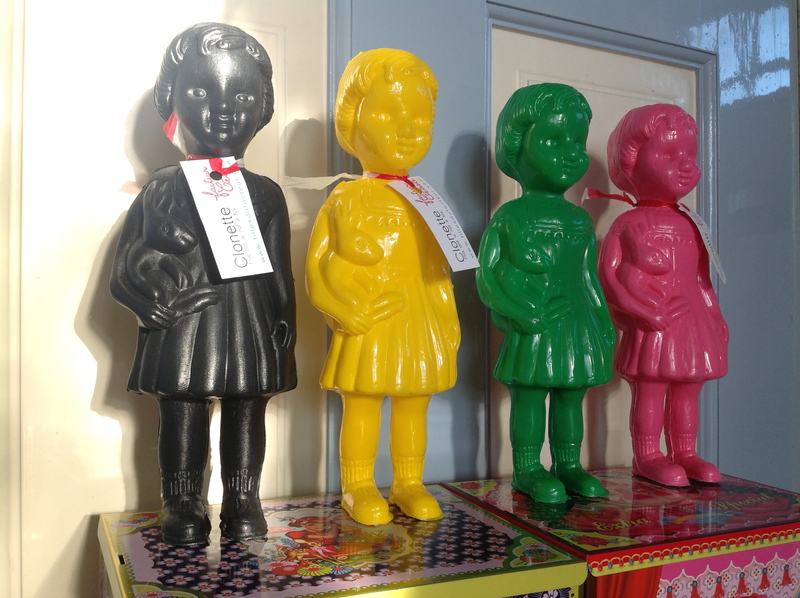 Filles du Facteur donates a proportion of the income generated by the sale of these dolls to institutions that help orphans and vulnerable children. Filles du Facteur has established working relations with Orphan Aid Africa, who work to prevent children being abandoned by their families. 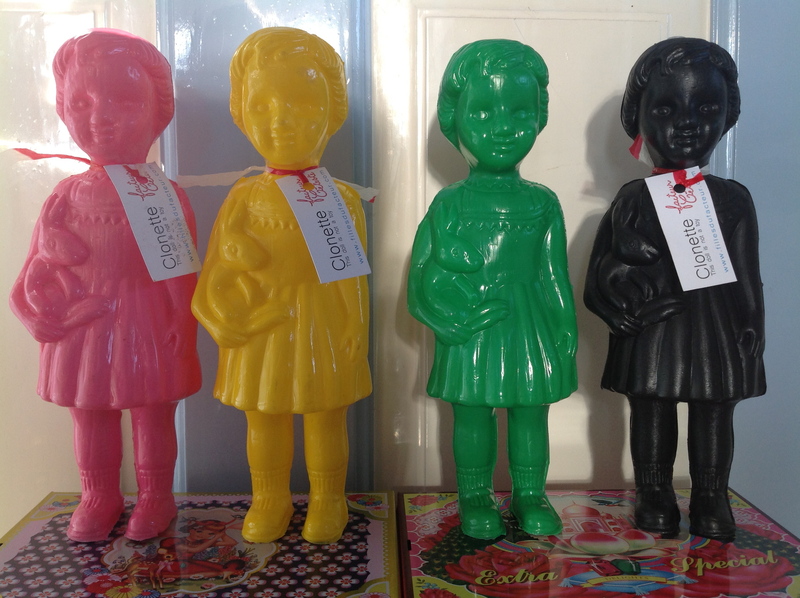 Due to the squeaker these dolls are not suitable for children under 3 years or pets. 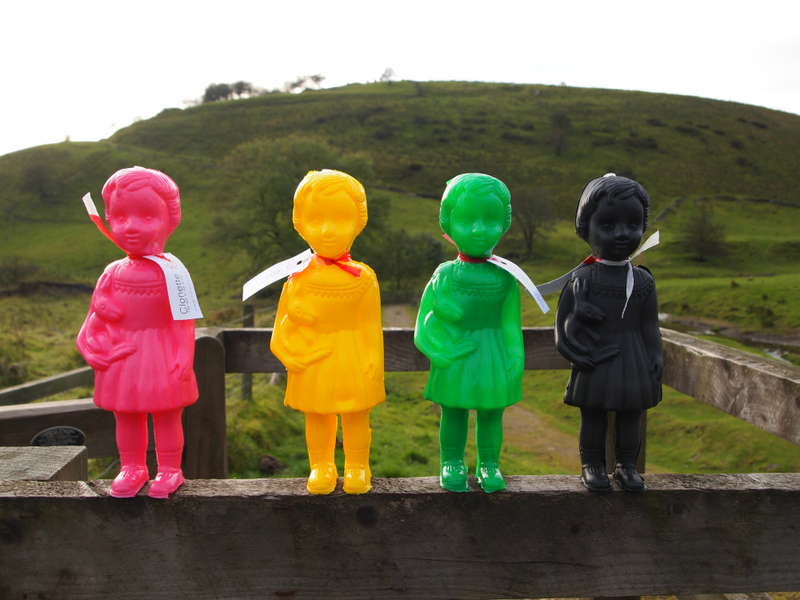 Clonette Dolls are £9.50 + £3 p&p (Payment via Paypal) and are available at our etsy store https://www.etsy.com/uk/listing/216373471/clonette-dolls-iconically-kitsch-poupee?